Cottage Insurance for Cottage Rentals: Are You Sure You Are Covered? Recreational residences, also commonly called cottages here in Canada, are becoming more popular each year. When our short but stunning summer season rolls around, vacationing gets a lot easier if you feel like a local at your destination. You can bring less, do more, and de-stress faster by vacationing at your own seasonal cottage. But another reason cottages are becoming more popular is the rental income they can generate for their owners. Let’s say you open your cottage in late May and close it in early October. You spend one month in residence, and you rent out your cottage during the other three months. It is easy to see how you can pick up a handy little chunk of change each summer just for renting out a space you already own! There is just one catch: insurance. Did you know that most homeowners insurance policies prohibit rentals for more than one to two weeks, if at all? More than a few horrified cottage owners have discovered only after filing a major claim that they had voided their own policy by renting out their cottage! You do not want this to happen to you. 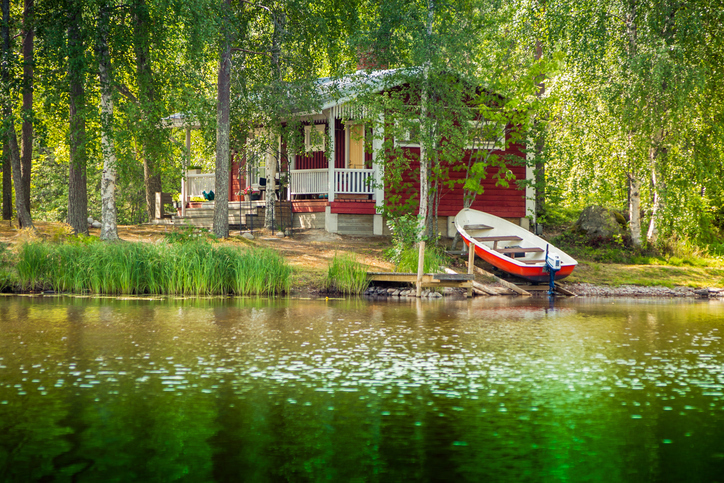 In this article, we take a timely look at the right type of cottage insurance to support you in renting out your cottage as often as you like. Permitting tenants to use your recreational vehicles (boats, ATVs, jet skis, etc.). Providing life jackets for tenants (especially children’s life jackets). Allowing smoking in or around the cottage. Leaving your personal valuables in the cottage while it is being used by tenants. Before you meet with your broker to discuss your cottage insurance needs for rental tenants, consider how you plan to present and market your rental cottage. For example, what amenities would you like to offer prospective renters that might give you an edge over other local cottage owners? Review these with your broker to find out what your current policy will and won’t cover. Then you can talk about adding on riders or changing the type of insurance to fit your cottage rental needs and concerns. Do You Need Homeowners or Business Insurance? One highly relevant question for cottage owners who plan to rent their cottage frequently is whether homeowners insurance is enough. Once you begin operating your cottage like a business, whether seasonally or year-round, this makes a strong argument to invest in the extra protection business insurance can offer you. Here is one example: With a homeowners insurance policy, you may have some coverage for personal liability. Let’s say you are staying at your cottage and a neighbour walks over to visit with you and trips on your lawn. If that neighbour tries to sue you, you may have some personal liability protection under your homeowners insurance policy. But now let’s say the person who trips on your cottage lawn is a rental tenant. They sue. Your homeowners insurance policy excludes coverage for business activities conducted on the premises of your personal seasonal residence. You have no protection! This is a perfect example of how switching from homeowners to business insurance may make sense if you plan to rent out your seasonal cottage regularly. One budding cottage entrepreneur discovered nearly too late that his homeowners insurance policy wouldn’t cover him once he began renting his cottage out through the popular Airbnb site. Not only can renting out your cottage expose you to risk in the event of a rental-related claim, but also making such a claim may void your coverage entirely. Perhaps surprisingly, insurers are concerned about pretty much the same things you are: crime, theft, vandalism, and liability. It covers only your liability if you are sued, not the cottage itself. It does not cover your lost rental income while your cottage is being repaired. It does not defend you or cover your liability if someone alleges that you assaulted them —even if you are completely innocent. It does not cover or defend you if a claim is in any way connected to aspects of the construction of the cottage that you may not even know about if the work was done before you bought the cottage—for example, drywall from China or the type of primer that was used by a painter. As well, it is important to know that the rental site may not necessarily be on your side in the event that you need to file a claim under a host guarantee. In the case of Airbnb, they will do their own investigation of the claim, which will initially delay claims processing. They may also require you to attempt to resolve the dispute with your rental tenant before they will intervene or release payment for a claim. This can delay claims processing still further as well as add an extra layer of stress to the whole process. It is not uncommon for seasonal cottages in Canada to command anywhere from $1,000 to $4,000-plus per week in rental income. No wonder so many cottage owners are eager to begin renting out their cottages! But without the right insurance policy, what looks like an easy way to generate income can quickly become a financial nightmare. The only way to ensure your cottage investment is secure for both personal and business (rental) use is to contact your broker and discuss your options for cottage rental insurance. Is this the year your cottage is going to start paying for itself with seasonal rental income? Let us help you create a custom insurance policy tailored to your unique needs and cottage rental goals. Contact us online or give us a call at 888-853-5552 to schedule your consultation!